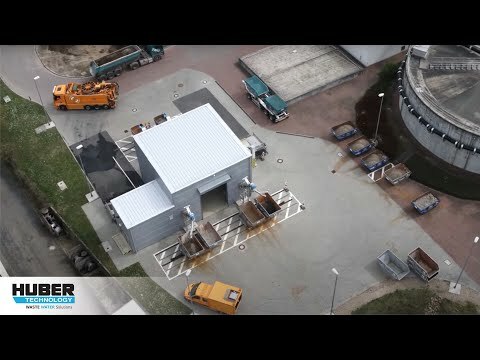 While wash water is added to pre-wash and homogenise the raw material within the HUBER Wash Drum in RoSF9 version, the perforated plate of the Wash Drum retains all particles > 10 mm, which are dewatered and then discharged into a skip. Since only coarse material > 10 mm is separated, the volume of the resultant residues is vastly reduced. 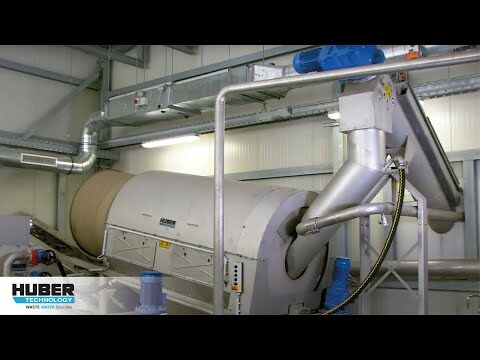 Virtually the complete mineral material being further treated in the down-stream COANDA Grit Washer. The resultant coarse material can then be further separated into a mineral and organic fraction by means of a coarse material washer. 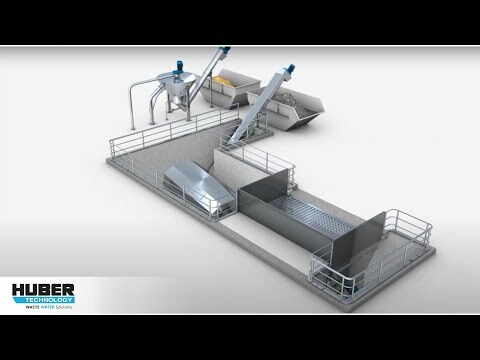 The Wash Drum is also available as Sludge Acceptance Plant RoFAS version.